Stay in our newly built Ramada Solothurn with guestrooms in the Comfort Deluxe and Suite category - Various Meeting Rooms with a total of 240 sqm - The restaurant with a beautiful view of the Palais Besenval Landhaus and Aare offers seasonal and international food - Hotel bar in the Hall - Ramada Solothurn is located by the River Aare near by the old part of town - Wellness center on the 7th Floor with a total of nearly 400 sqm - Enjoy snacks and drinks in the Lounge of the Penthouse on the 7th floor with a view over the Baroque city Solothurn. 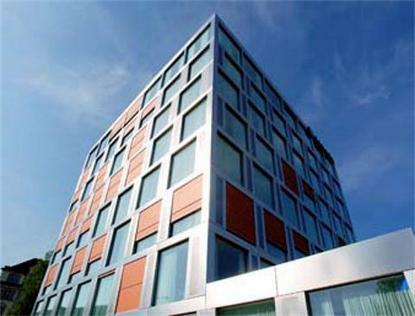 The property is located 100 km from the Zurich Airport and 35 km from Bern Airport. Child charge up to age 17 - 55.00 CHF per child per night.